Leading iTunes Backup Extractor software to help you find all iPhone, iPod Touch and iPad backups on your computer and allows you to recover your files with ease. Accidentally deleted something important on your iPhone? Lost or broken your iPhone/iPad/iPod Touch? 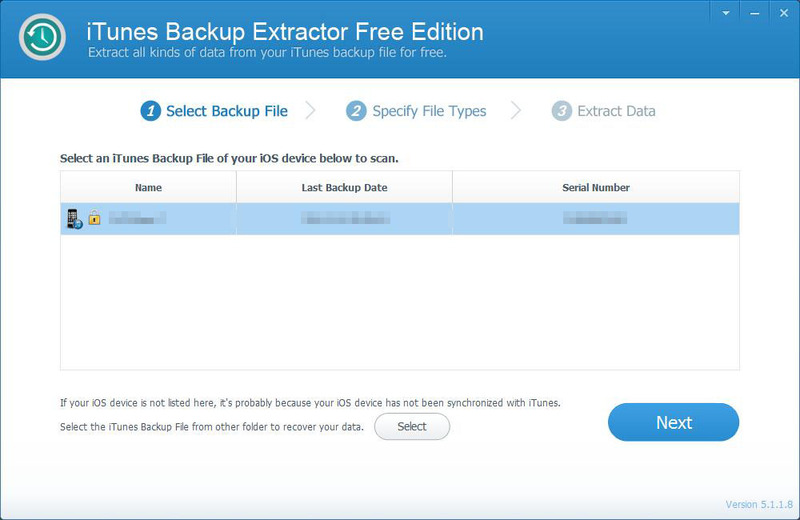 iTunes Backup Extractor Free Edition can automatically detect any iPhone/iPad/iPad backup files on your computer, and extract all data from iTunes backup, including contacts, SMS messages, call logs, photos, videos, notes, calendar, reminders, WhatsApp, Viber, Safari bookmarks, and more.